Purchases of existing single-family homes remained flat in August as the gap between consumer demand and affordable inventory widened. New home sales rose for the first time since May, but figures for June and July were revised downward. With many would-be buyers unable or unwilling to purchase a home at current rates, pressure has been building to lower costs. And housing prices, while not yet receding, have begun to rise more slowly in some parts of the country, perhaps an indication that the market is hitting its peak. After four months of declining growth, sales of existing homes stabilized in August, matching those of July, but are down 1.5 percent from the same time last year. The market was helped a bit by a modest year-over-year increase in available inventory and improving conditions in the Northeast and Midwest. Single-family home sales also remained flat and are down 1.0 percent from last August. The median price for all sales was $264,800, and for a single-family home, $267,300. New home sales were up 3.5 percent for the month, the first increase since May and only the second this year, perhaps helped by additional inventory and a slight decrease in prices. 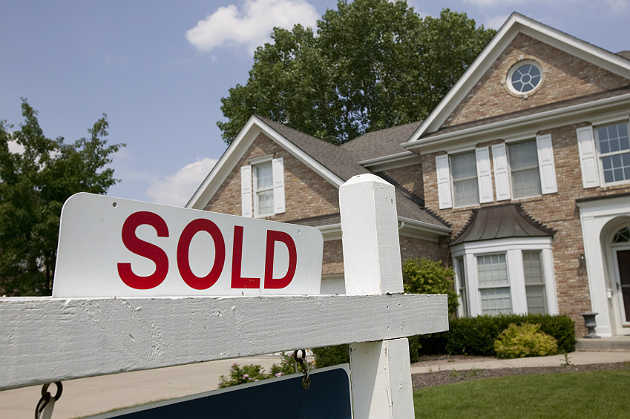 The median price of a new home dropped to $320,000, with an average price of $388,400. June and July’s negative sales growth were revised downward, indicating further softening in the market, but overall sales are up 12.7 percent from a year ago. On the construction side, housing starts (in units) for the month of August leaped 9.2 percent overall, and are now up 9.4 percent for the year. Most of those gains came from the multifamily sector, however. Single-family starts rose by just under 2.0 percent for the month. Completions were up 2.5 percent from July, with single-family completions soaring 11.6 percent. That should help offset the plunge in permit requests, which hit a 15-month low — down 5.7 percent overall and 5.5 percent for the year, with single-family permit requests dropping 5.5 percent compared to July. By dollar volume, residential construction declined 7 percent overall in August, according to Dodge Data & Analytics, but remains up 6 percent for the year. Single-family construction fell 7 percent after a 3 percent increase in July, but is up 7 percent from last year. Web-based real estate brokerage Redfin relates that its Housing Demand Index remained more or less unchanged for the fourth consecutive month, nudging up just 0.3 percent in August from July. "Several factors are contributing to stalling demand," said Taylor Marr, Redfin senior economist. "Tax reform and higher home prices are causing homebuyers to be more careful about their decision-making." In addition, markets where more inventory has become available have seen prices come down and buyers becoming a bit more selective. Inflated home prices and escalating construction costs are combining to make homeownership more difficult for would-be buyers. First-time homebuyers especially have few options. "Rising interest rates along with high home prices and lack of inventory continue to push entry-level and first time home buyers out of the market," said NAR chief economist Lawrence Yun in announcing Augusts sales figures. "The demand is there, but there simply are not enough properties available in their price range." Inna Khidekel, managing director in the Capital Markets Group at Bridge Investment Group, concurs. "Populations in which new household formation is occurring rapidly, such as millennials and immigrants, cannot afford much of the housing inventory currently for sale," says Khidekel. "The fact that most of August’s new construction starts came from the multifamily sector shows that developers anticipate demand will continue to be greater for rental properties than for home purchases." Reflecting on the new home sales data, Robert Dietz, NAHB chief economist, stated, "Home sales have softened due to rising buyer concerns over housing affordability as home prices have grown faster than income growth and rising mortgage interest rates." Similarly, Doug Duncan, chief economist for Fannie Mae, reported that the organization’s Home Purchase Sentiment Index showed a 3-point decline in consumer confidence in August for both those considering buying a home and those considering selling a home. "After years of robust home price growth outpacing income growth, consumers face significant housing affordability challenges at the low end of the market," said Duncan. With prime homebuying months coming to a close, it remains to be seen how the market fared in September, especially given the impact of Hurricane Florence on the southeast coast. At present, the forecast indicates modest annual growth in new home sales and construction but a slight decline in existing home sales by year’s end. Yet, there is little indication that the trends holding back the industry will reverse anytime soon. Michael J. Berens is a freelance researcher and writer with more than 30 years of experience in association communication and management. He can be reached at mjberensresearch@gmail.com.